Learn, understand, and master pathophysiology! 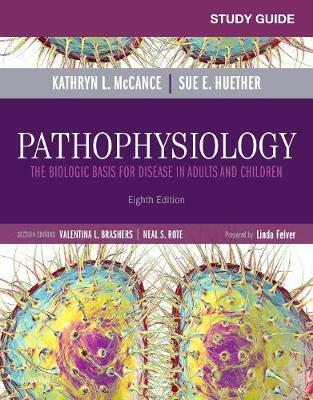 Corresponding to the chapters in Pathophysiology: The Biologic Basis for Disease in Adults and Children, 8th Edition, this study guide offers practical activities to help you review and remember basic pathophysiology. Interactive questions provide you with a working knowledge of disease etiology and disease processes - giving you practice applying what you've learned to clinical practice. Key Features Practice exams provide immediate feedback by helping you understand the rationale behind each answer. More than 1,200 questions cover all areas of pathophysiology. Over 40 case scenarios provide real-world examples of how pathophysiology is used in the clinical setting, helping you apply and integrate knowledge. Concise chapter summaries highlight need-to-know information and help you to quickly review content. Answer key found in the back of the study guide, allows you to check answers and evaluate your progress. Memory Check! Boxes help you understand content - not just memorize key facts. Featured Learning Objectives keeps you focused on essential information from the text.